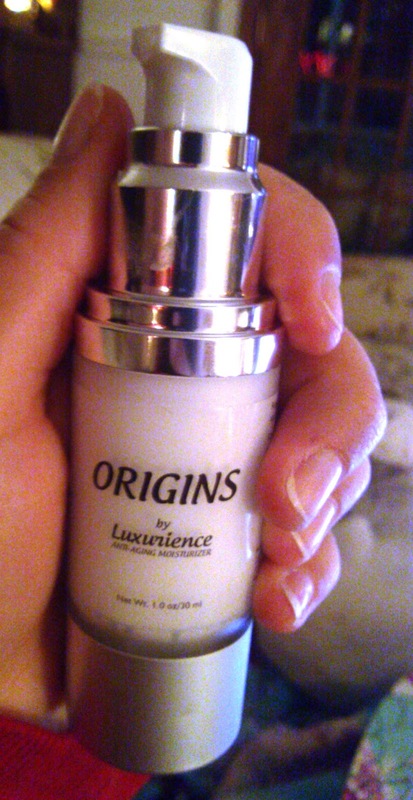 Origins is a new anti-aging moisturizer from Luxurience that provides hypo-allergenic skin rejuvenation. It contains a patented peptide formula that illuminates dull skin, and it uses plant-based ingredients to enhance skin's natural defenses. The formula also contains Matrixyl which has been shown to boost collagen to reduce wrinkles and tighten skin. This smooth white cream goes on really silky and absorbs quickly without leaving a greasy feel. I was concerned about the peppermint oil which is one of the ingredients in this formula and can sometimes be irritating - but it must only be a small amount because this moisturizer doesn't irritate my skin at all. It also smells really nice and Christmas-y with a very subtle mint smell! I feel like my skin looks more youthful and overall reacts really well to this moisturizer. Luxurience is a small family-run company that pampers its customers through specialty skincare products. Their Origins moisturizer is made in the USA at an FDA-registered facility. It is also paraben-free and non-toxic. I recommend it.